In an open letter written in 2006 to policy makers in India, farmer and campaigner Bhaskar Save (image on the right) offered answers to some of these questions. He argued that the actual reason for pushing the Green Revolution was the much narrower goal of increasing marketable surplus of a few relatively less perishable cereals to fuel the urban-industrial expansion favoured by the government and a few industries at the expense of a more diverse and nutrient-sufficient agriculture, which rural folk – who make up the bulk of India’s population – had long benefited from. Save is referring to the 300,000-plus farmer suicides that have taken place in India over the past two decades due to economic distress resulting from debt, a shift to (GM)cash crops and economic ‘liberalisation’ (see this report about a peer-reviewed study, which directly links suicides to GM cotton). Agroecology is based on scientific research grounded in the natural sciences but marries this with farmer-generated knowledge and grassroots participation that challenges top-down approaches to research and policy making. However, it can also involve moving beyond the dynamics of the farm itself to become part of a wider agenda, which addresses the broader political and economic issues that impact farmers and agriculture (see this description of the various modes of thought that underpin agroecolgy). Agroecology requires that shift in fundamental beliefs. There are many other examples of successful agroecology and of farmers abandoning Green Revolution thought and practices to embrace it (see this report about El Salvador and this interview from South India). Various official reports have argued that to feed the hungry and secure food security in low income regions we need to support small farms and diverse, sustainable agroecological methods of farming and strengthen local food economies (see this report on the right to food and this (IAASTD) peer-reviewed report). It has long been established that Small farms are per area more productive than large-scale industrial farms and create a more resilient, diverse food system. If policy makers were to prioritise this sector and promote agroecology to the extent Green Revolution practices and technology have been pushed, many of the problems surrounding poverty, unemployment and urban migration could be solved. However, the biggest challenge for upscaling agroecology lies in the push by big business for commercial agriculture and attempts to marginalise agroecology. Unfortunately, global agribusiness concerns have secured the status of ‘thick legitimacy’ based on an intricate web of processes successfully spun in the scientific, policy and political arenas. This allows its model to persist and appear normal and necessary. This perceived legitimacy derives from the lobbying, financial clout and political power of agribusiness conglomerates which set out to capture or shape government departments, public institutions, the agricultural research paradigm, international trade and the cultural narrative concerning food and agriculture. 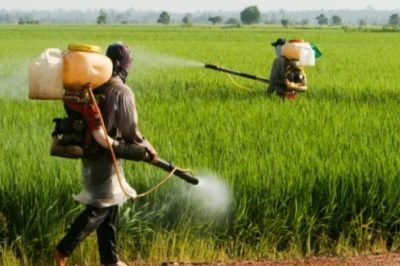 The World Bank is pushing a corporate-led industrial model of agriculture via its ‘enabling the business of agriculture’ strategy and corporations are given free rein to write policies. Monsanto played a key part in drafting the WTO Agreement on Trade-Related Aspects of Intellectual Property Rights to create seed monopolies and the global food processing industry had a leading role in shaping the WTO Agreement on the Application of Sanitary and Phytosanitary Measures (see this). From Codex, the Knowledge Initiative on Agriculture aimed at restructuring Indian agriculture to the currently on-hold US-EU trade deal (TTIP), the powerful agribusiness lobby has secured privileged access to policy makers to ensure its model of agriculture prevails. Powerful agribusiness corporations can only operate as they do because of a framework designed to allow them to capture governments and regulatory bodies, to use the WTO and bilateral trade deals to lever global influence, to profit on the back of US militarism (Iraq) and destabilisations (Ukraine), to exert undue influence over science and politics and to rake in enormous profits.